How does one balance the necessity of detail with the overall arc and structure of a piece of writing? How do the details you choose to include, and choose not to include, influence how your story is told? In this class, we’ll look at details within specific craft elements: setting, worldbuilding, character, and structure. For each, we’ll examine a variety of examples and discuss how, where, and why details work, or don’t. ​For most poets revision can be daunting, and yet it is the most important step for creating work that resonates with readers. 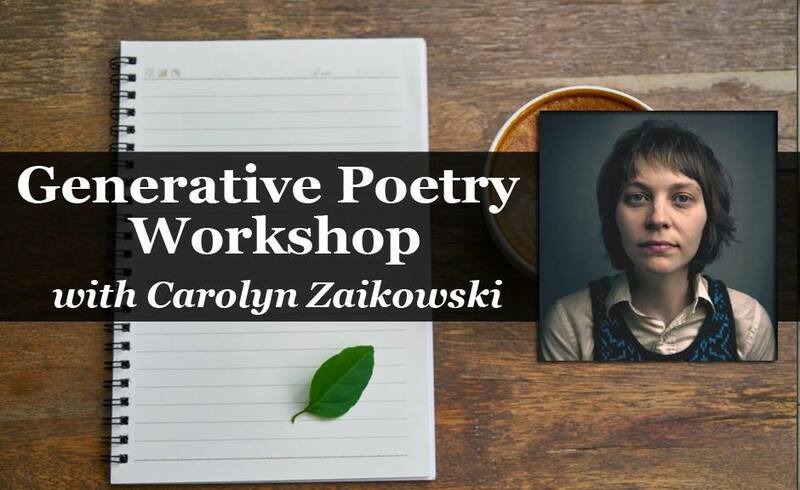 If you aren’t receiving regular feedback from a writing group or would value a different perspective, this workshop will provide tools for discovering what your poems need. We will explore issues of craft including line breaks, tense, voice, form, and imagery. Each session will focus on giving and receiving feedback on poems that you want to improve in an atmosphere of respect. Between sessions you will revise and polish. In the last session we will focus on presenting your best work: the importance of formatting and titles, reading your work aloud, and perseverance in the face of rejection. Participants will prepare a packet of poems that have been polished from previous weeks with an eye towards either reading in public or seeking publication. Please bring a laptop for this last session.